Three superb girl group recordings from 1966, all with full productions and all previously unheard. The songs were written by major song writing talents and epitomize the classic girl pop/soul sound of the era. 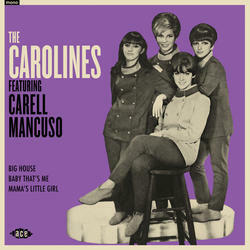 The A-side, 'Big House', is as perfect as this genre gets and was written by Larry Weiss, who has a string of classic pop credits to his name. Larry was also a top producer and did a magnificent job on this trio of tunes. The Los Angeles pairing of Jackie DeShannon and Jack Nitzsche wrote 'Baby That's Me' which was originally cut by the Fashions on Cameo who took a relatively mild approach to the song. It later became a cult girl group record when recorded by the Cake in 1967. This 1966 version at least matches that great waxing. 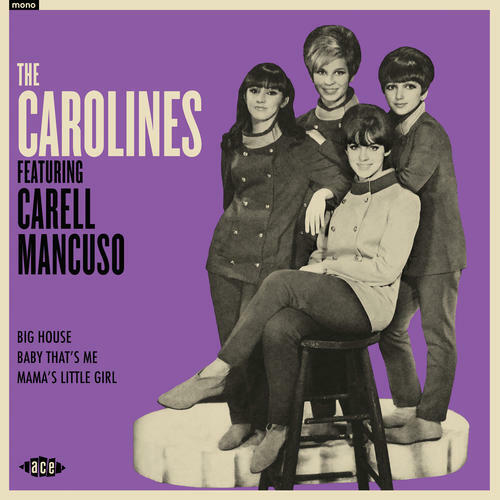 The Chip Taylor-composed 'Mama's Little Girl' was originally recorded by Reparata & the Delrons for RCA in 1966, around the time of the Carolines recording. This version is harder-hitting.